Following months of silence, J.K. Rowling is finally speaking out about Johnny Depp and the decision to keep him in the role of Gellert Grindelwald in Fantastic Beasts: The Crimes of Grindelwald. 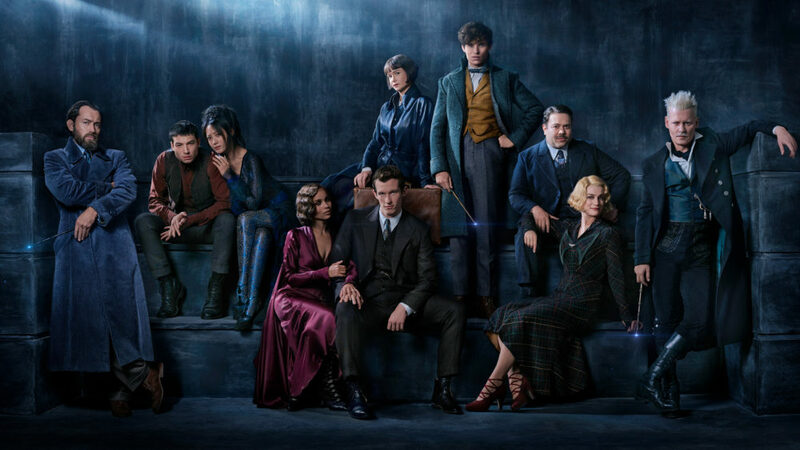 A few weeks ago, the first official cast photo and title for the upcoming sequel to 2016’s Fantastic Beasts and Where to Find Them was released. Following the teaser, people expressed disappointment that Depp — who had a small cameo during the first film — would be returning as the titular character in the sequel due to the domestic violence and abuse allegations leveled against the actor during his divorce from Amber Heard. Considering Depp’s introduction to the franchise came as it was revealed that Colin Farrell’s Percival Graves was just a disguise for Grindelwald, many fans felt Depp could and should be replaced by a different actor. Rowling, the creator of the Harry Potter universe and screenwriter for the Fantastic Beasts films, as well as producers of the franchise have come under fire for keeping him in the role. While director David Yates called the allegations against Depp a “dead issue,” Rowling has been unusually silent. But now, after reportedly blocking a fan asking about Depp’s casting on Twitter, Rowling is defending her position. The author and screenwriter revealed that the allegations leveled against Depp around the time of his casting were concerning to the entire Fantastic Beasts team — and they considered recasting him, but ultimately decided against it. "The huge, mutually supportive community that has grown up around Harry Potter is one of the greatest joys of my life," Rowling wrote in a statement posted to her website. "For me personally, the inability to speak openly to fans about this issue has been difficult, frustrating and at times painful. However, the agreements that have been put in place to protect the privacy of two people, both of whom have expressed a desire to get on with their lives, must be respected. Based on our understanding of the circumstances, the filmmakers and I are not only comfortable sticking with our original casting, but genuinely happy to have Johnny playing a major character in the movies." While we can definitely understand the point Rowling is trying to make, the decision to keep Depp in the cast is still something that makes us feel a bit uneasy. Rowling, Yates, producer David Heyman, and Warner Bros. may be hoping to finally put the issue to rest, but we don’t think fans’ frustration or unease is going anywhere. Fantastic Beasts: The Crimes of Grindelwald is slated to hit theaters on November 16th, 2018…and for right now, it will still include Depp.